I will start off by saying I did not read the first book in the series. I think I was missing some of the back story and some of the reasons for some of the bonds between the characters, but I was still able to follow along. I really liked Chris and Sam and even the secondary characters. I felt the chemistry and the feelings between the characters and I was excited to see what would happen. I think things went a little fast in the end, I would have liked to see more of what happened after Chris made his decision instead of just jumping to the epilogue. I was hoping for a book about Misha but some of that was answered in the epilogue as well… I guess I can hope that it still might happen. 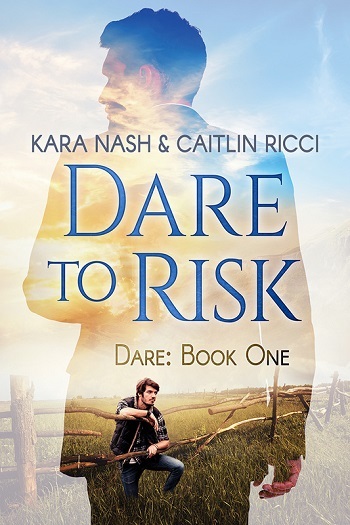 For reviews & more info, check out our Dare to Risk post. Kara Nash makes her home amongst the stunning islands in the South Pacific. Writing is a passion, but so is reading, a good cup of steaming coffee, and the love and company of friends and family. While life carries on around her in a bustle, her mind is filled with the voices and antics of the characters in her next creation. Kara is an absolute romantic at heart and happy endings are precious, which is why she chooses to tell stories of couples fortunate to find and hold on to love. And cats! Kara adores these furry creatures and the sense behind “too many” escapes her when it comes to them. 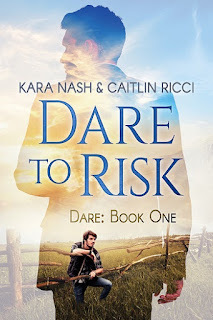 Caitlin began writing when she was in middle school but it wasn't until 2012 that she first got up the guts to submit something to a publisher. That first short story was accepted and later that same year she quit her job and became a full time author. She is forever grateful to her readers for giving her first short story a chance and for their continued support as well. Caitlin was fortunate growing up to be surrounded by family and teachers that encouraged her love of reading. She has always been a voracious reader and that love of the written word easily morphed into a passion for writing. If she isn't writing, she can usually be found studying as she works toward her counseling degree. She comes from a military family and the men and women of the armed forces are close to her heart. She also enjoys gardening and horseback riding in the Colorado Rockies where she calls home with her wonderful fiance and their two dogs. Her belief that there is no one true path to happily ever after runs deeply through all of her stories. 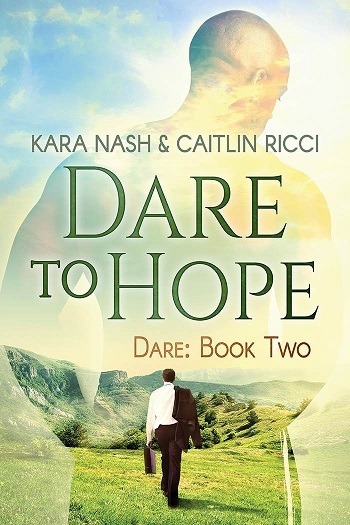 Reviewers on the Wicked Reads Review Team were provided a free copy of Dare to Hope (Dare #2) by Kara Nash & Caitlin Ricci to read and review.